Hide deals from seller "Jim Dandy Cleaners"
Limit 1 per person and 1 per transaction. Valid toward dry cleaning and laundry services. Excludes leather/suede garments and alterations. Pickup and delivery included upon request. Voucher may be used over multiple visits. 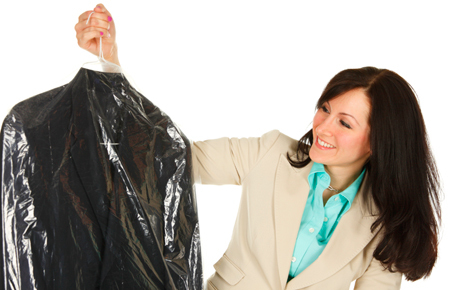 Tackle your spring cleaning any time of year with 50% off dry cleaning services from Jim Dandy Cleaners in Deerfield ($50 value). This voucher can be used in multiple visits, and they provide free laundry pickup and delivery within a 15-mile radius. For 30 years, Jim Dandy Cleaners has been offering outstanding cleaning of garments and linens. They'll clean everything from your casual clothes to your fanciest dresses. The professionals here work tirelessly to remove stubborn stains, enhance colors and leave everything looking its finest. Plus, all items are inspected, cleaned, pressed and checked for missing buttons. Whether you have a down comforter or a pile of clothes that needs cleaning, Jim Dandy Cleaners will provide topnotch services. A dry cleaners in Deerfield offering pickup and delivery services.